The Secret Hideaway01691 870217work Self-cateringHome from home - step back in time to a secluded, comfortable farmhouse nestled in its own valley. Translated into English Tyn y Bwlch means ‘behind the opening’. 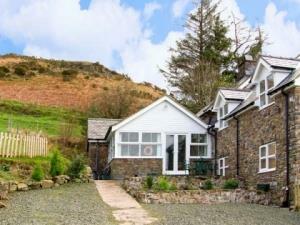 The house is approached by a stone road entering into its peaceful setting with spectacular views over the Cownwy and Vyrnwy Valleys. These views can be enjoyed from the comfort of the conservatory dining room. 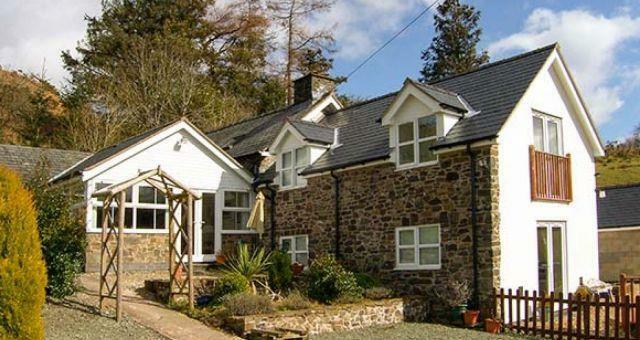 Relax and recuperate in this detached, centrally heated, farmhouse. It has two double bedrooms upstairs and one twin bedroom downstairs. A snug lounge with exposed beams and inglenook log fire, sky freeview and a dvd player. The kitchen has an additional dishwasher and hostess trolley.